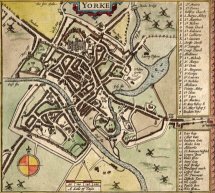 I was formerly Reader in polymer spectroscopy in the University of Leeds and my interest in writing about early maps developed in retirement, as did my publishing activities. A further interest not dealt with on this site is the Chippendale Society, which is for those interested in eighteenth century decorative arts, and more es-pecially in the work of the two Thomas Chippendales. An ex-tensive website is devoted to the Society's work. I have also published books on other topics. See 'Published by...' page. Please note that if you send an email to this address you will be considered to have given me permission to place the whole or a selection of its content on the discussions page of this site. My interests in cartography range over a wide area, but concentrate mainly on the mapping of Britain, particularly in the 16th to 18th centuries, and in map projections. Subsidiary interests are in the use of maps in the press and in publications that contain maps, such as the Bradley books on Yorkshire rivers. Please click on the links above to access other pages.